If you sign up for our Mailing List, you can receive an email from the Apple Club when we have some news to share, such as when a new presentation is uploaded, or when there is a new support or news article. Get a preview right in the email, as well as a link to the corresponding page to view the full story. The Apple Club takes extra measures to make sure no one can see your email address when getting a news update via Mailing List. See our Privacy Information for more. Having Trouble with our Subscribe Link? for This Program. 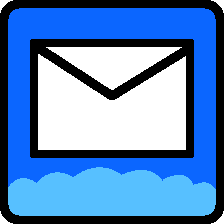 Be sure that the protocol "mailto:" is selected, as well as email links. On older versions of Windows, open the Control Panel, click on Add or Remove Programs. Then click Set Program Access and Defaults. program, and then select the desired program. System Preferences, then clicking on Mail, Contacts, Calendars. Then click Add Account and fill in the necessary information.